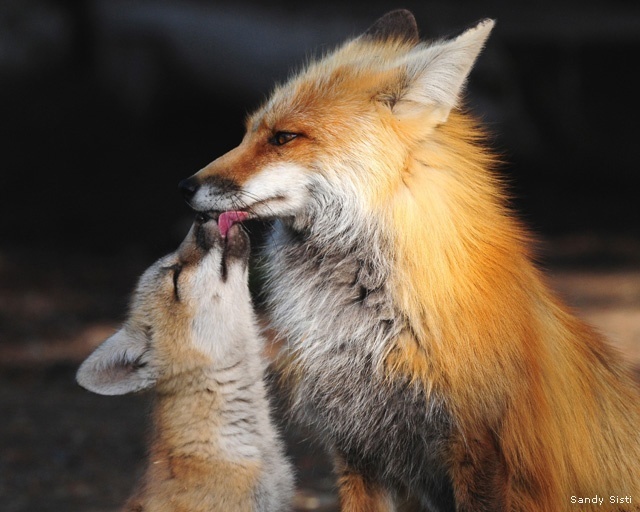 A red fox kit licks its father's chin. Photo by SandySisti. Who makes the best dad in the wild? Check out a list of the Top 10 Animal Dads to find out. Or to see more adorable wildlife pics, visit our baby animals photo gallery!